Leverage has increased for all Plus 500 [read review] CFD products! Now shares can be traded with up to 1:20 leverage, forex up to 1:200, indices up to 1:200, commodities up to 1:100, and ETFs up to 1:20. 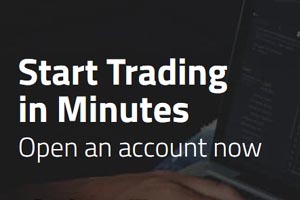 Canadian trading users can score bigger wins than ever before on your next trade. Leverage allows you to to trade large amounts of a financial instrument while only tying up a small amount of your capital. For example, a 20% margin means that for just $200 you could get the same exposure as a $2000 investment. This represents leverage of 20 times, or 20:1. At Plus 500 [read review] you control the leverage for each trade you make. Be careful though, while there is potential for great rewards, you can also incur quick losses. Risk what you can afford and get started trading today at Plus500! "Major thankies for the blog post. Want more."